Comments: Hawp, on this CD, is made up of husband and wife team Andy and Niamh Stewart, Anne Lederman, and Jason Pfeiffer. Andy is originally from Scotland and has toured with Dougie MacLean, among other Scots icons. Niamh is a Canadian, and has been director of Tir Na nOg Irish Dance Academy for 15 years. They are radio hosts, producing a show named Hawps Kitchen Ceilidh. This show can be heard on www.wolfvilleradio.ca during the summers, and on Saturdays during the fall on Acadia Universitys Radio Station. Write about Storm And Calm! 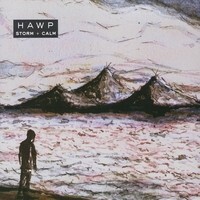 Want to write a review about Hawp's Storm And Calm album? Post your comments in this box to be displayed in our community forums and in our album database! Please make sure you are logged in before proceeding. Please login to write your comments about Storm And Calm.